Kari here from Life PreKARIous. 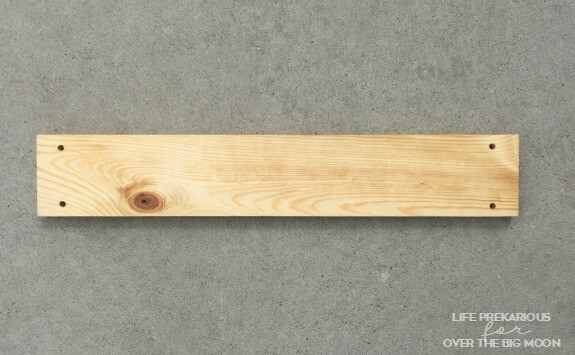 Today I’m showing you how I made this super easy DIY Hanging Shelf. I love projects that are easy and fast and this one is definitely both! I threw it together in about a half hour. First, I cut the board the length I wanted. I hardly ever measure anything. Ain’t nobody got time for that! But, mine is about a foot and a half. I drilled a hole in each corner of the board and stained it. I used a natural colored stain but you could use any color you’d like. Even use a different color of rope to get the exact look you’re going for. Just have fun with it! Once the stain was dry (or maybe before – patience isn’t exactly my thing!) I added the rope. I cut 4 pieces of rope to the length I wanted. I fed one piece of the rope through each hole on the board. 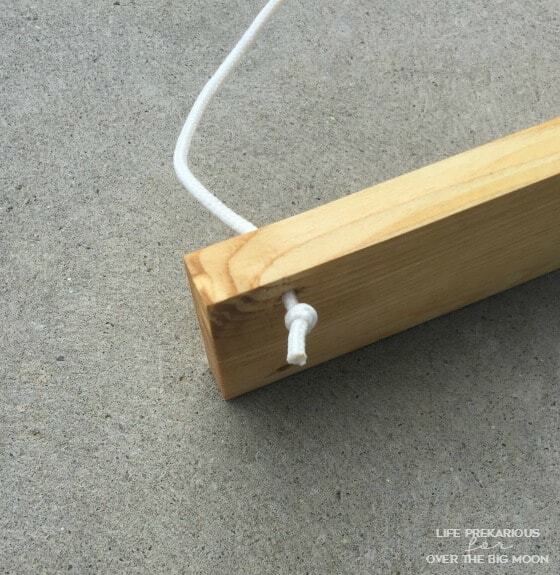 Then, tied a tight knot on the underside of the board. Next, I was ready to hang the shelf. 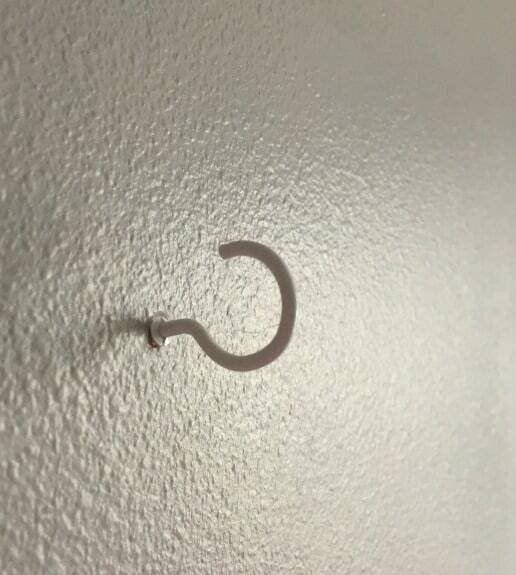 I used a small white hook, screwed right into the wall. 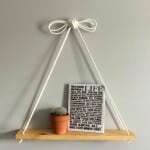 If you plan on putting heavier items on your shelf you will definitely want to use something a little more sturdy. An eyebolt is another great option. 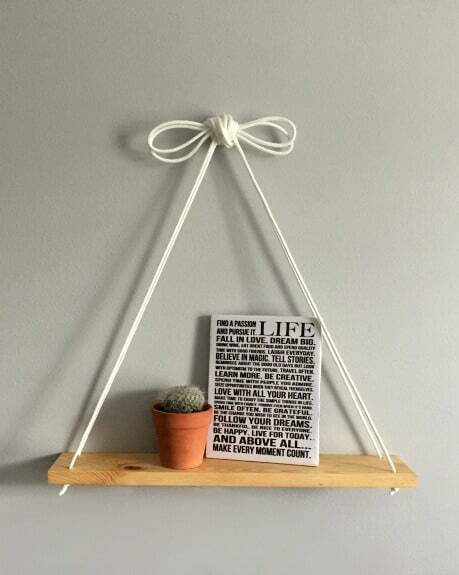 To hang the shelf on the hook, I simply tied a bow then wrapped the excess rope or ‘tails” around the hook a few times. Now it looks like a bow with a large knot in the center. If you use an eyebolt you will have to just tie a knot on it first, then great the bow! It’s definitely not the sturdiest shelf, but it just might be the cutest! 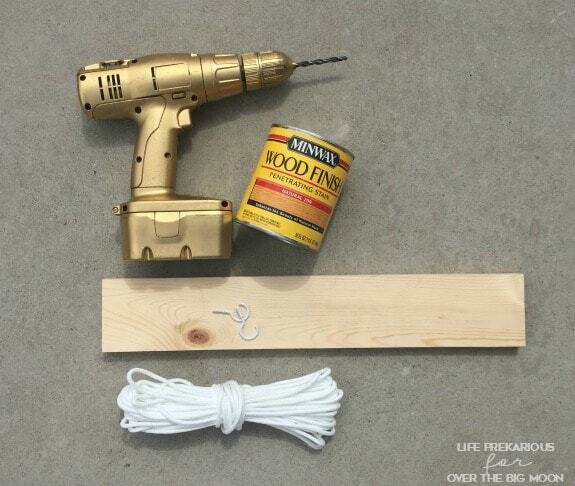 If you’re looking for some more fun and easy projects go check out some more of my DIY’s [HERE]!